fried rice recipe - aromatic, flavorful and delicious vegetable fried rice recipe. 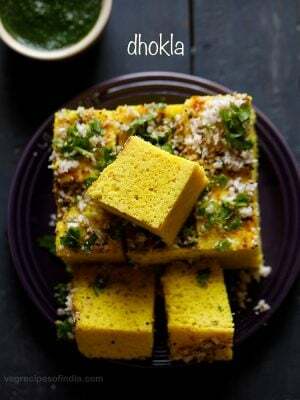 one of the popular street foods in india. veg fried rice recipe with step by step photos and video – aromatic, flavorful and delicious vegetable fried rice recipe. this is one of our favorite indo chinese recipe. as the flavors of the veggies really come out very well in this fried rice recipe. whenever we order an indo chinese menu then veg fried rice is always there. along with fried rice we usually order different indo chinese recipes or starters like spring roll, hakka noodles, manchow soup, hot and sour soup. however vegetable fried rice has always stayed permanent in our choice of menu for indo chinese take aways or in restaurants. this veg fried rice recipe tastes more chinese than indo chinese. i have used the spice star anise (chakri phool) to flavor the rice along with soy sauce. the indo chinese version of fried rice which we get in india is always spiced and sometimes hot too. 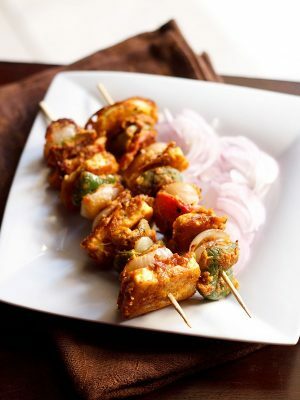 they add different spices & herbs like green chilies, red chili powder, garam masala powder etc. i have kept this vegetable fried rice plain and simple, so that the flavors of the vegetables are enhanced. don’t overcook the rice. they have to be al dente or just cooked. always drain and completely cool the rice before you stir fry them with the veggies. 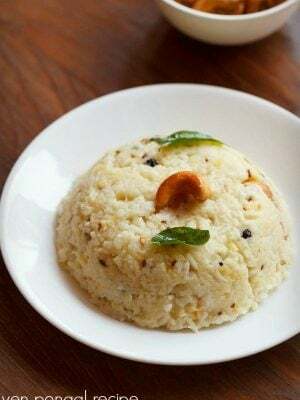 if the rice is not cooled and added hot or warm, you won’t get a perfect texture and the rice grains will break and become mushy. besides the regular vegetables like carrots, beans used in the veg fried rice, i have also added button mushrooms. 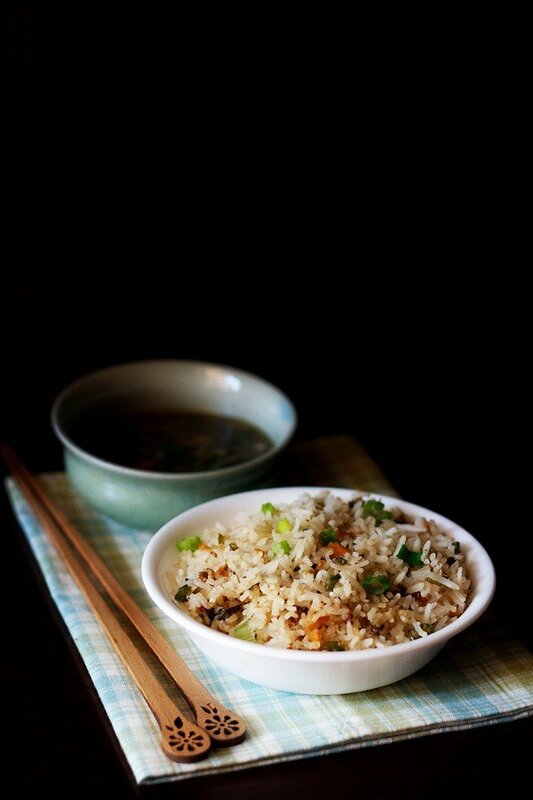 you can add your choice of vegetables when you make this veg fried rice. 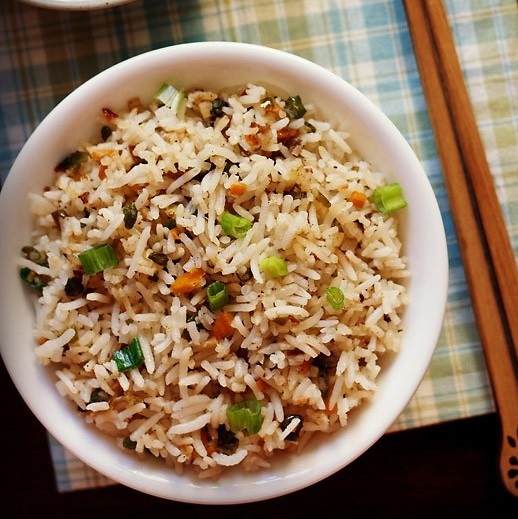 you can make this veg fried rice from freshly cooked rice or leftover rice. to give a sweet taste to the veg fried rice, you can add a bit of tomato sauce. to give a hot taste and flavor, you can add some red chili sauce or green chili sauce. whenever you make any chinese recipe then always add celery to get the real chinese taste. without celery something will be missing. 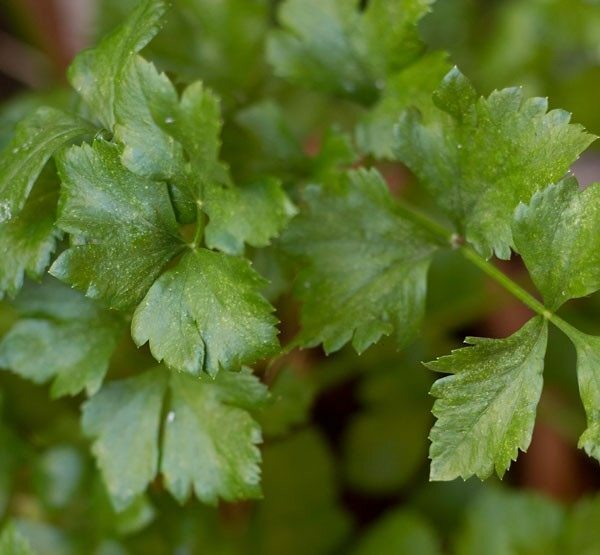 you can make chinese food without other important ingredients like spring onions but not without celery. but if you don’t have celery then there is no option or substitute. just skip adding it. this veg fried rice will still taste good without celery. you can see the celery pic below. while serving veg fried rice you have many options. 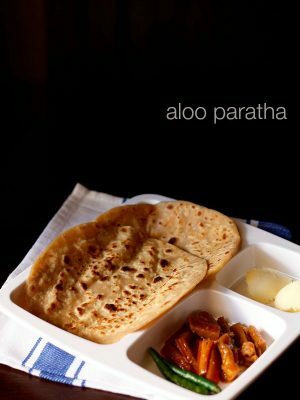 you can serve it with any indo chinese gravy dish. 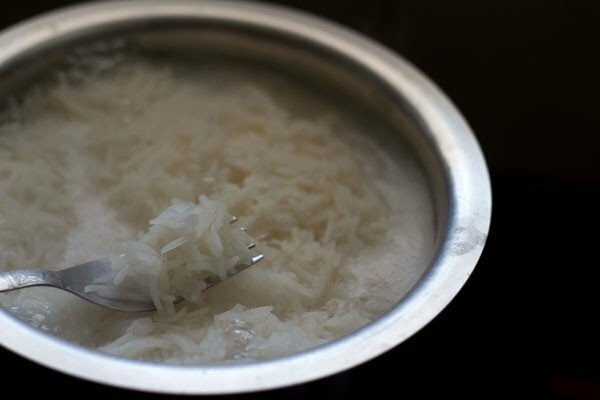 rinse rice very well till the water runs clear of starch. 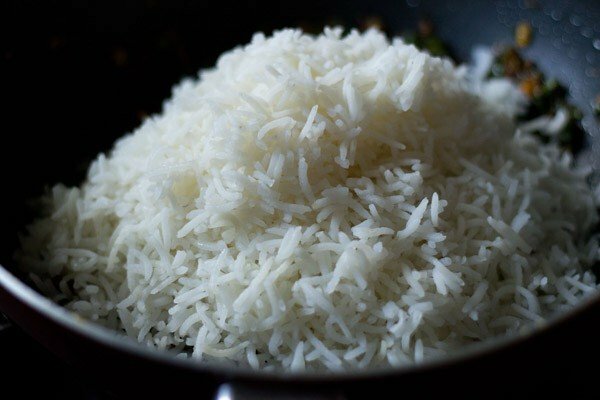 soak rice in water for 30 mins. drain and keep aside. 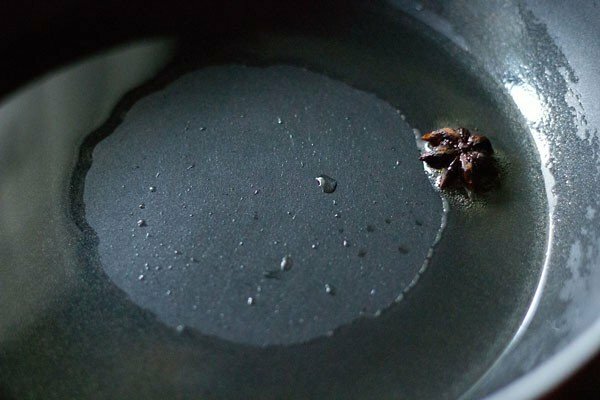 in a pot, bring to a gentle boil 4.5 to 5 cups of water with salt and 2 to 3 drops of oil. on a low to medium flame cook the rice without the lid. 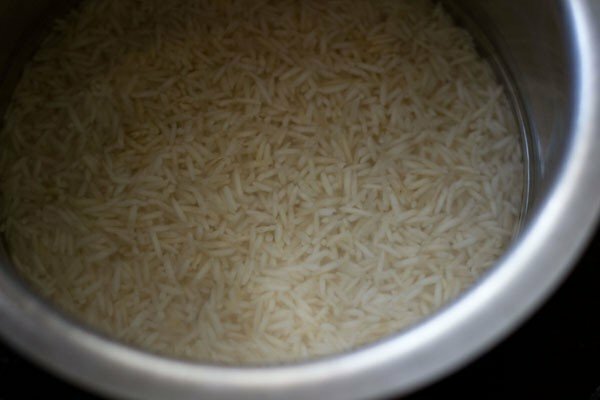 when the rice becomes al dente or just cooked, remove the pot from fire and drain the rice. remember to chop the french beans very finely. they take more time to cook than other veggies. you can also blanch them first and then cook. another option is to add the beans first and then add the other vegetables. 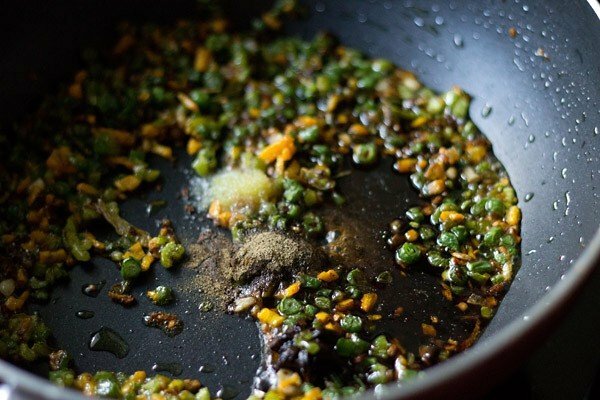 heat oil in a wok or a pan. first add the star anise and fry for some seconds or till the oil becomes fragrant. add the garlic and saute for some seconds. no need to brown the garlic. at this stage, you can also add ginger, if you prefer. then add all the finely chopped veggies including the celery. increase the flame to a medium or high and stir fry the veggies. 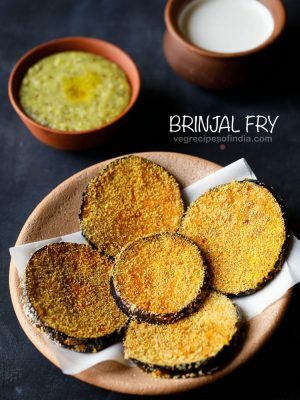 you have to continuously toss and stir while frying so that the veggies are uniformly cooked and do not get burnt. add the soy sauce, salt and pepper. stir quickly and add the rice. stir fry for a few minutes till the sauce has coated the rice well. keep a check when adding salt, as soy sauce already has salt in it. 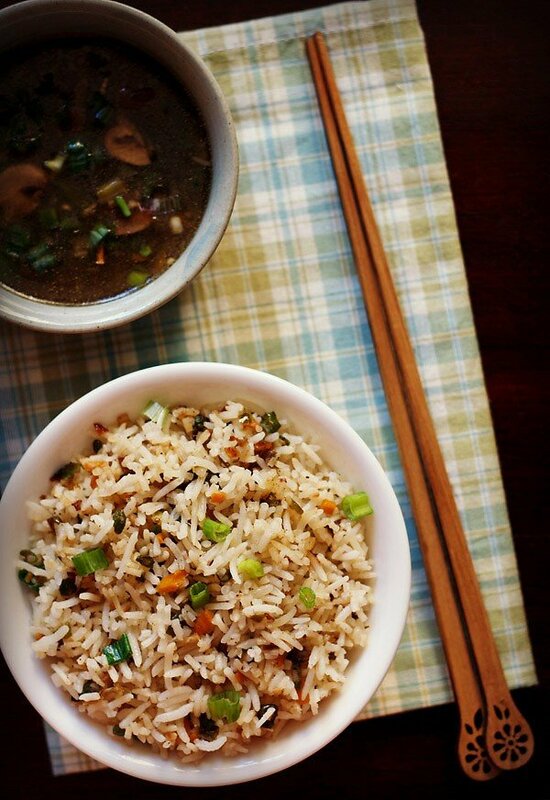 serve the fried rice hot plain or with an indo chinese vegetable gravy. 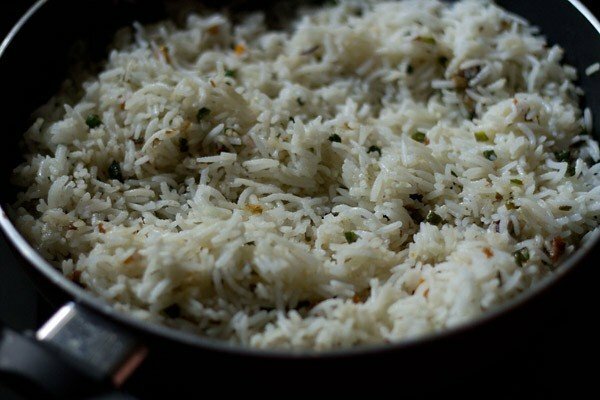 1. soak 1 cup basmati rice in water for 30 mins. then drain and keep the rice aside. 2. bring 4.5 to 5 cups water, ½ tsp salt and 2-3 drops of oil to a gentle boil. add the drained soaked rice. 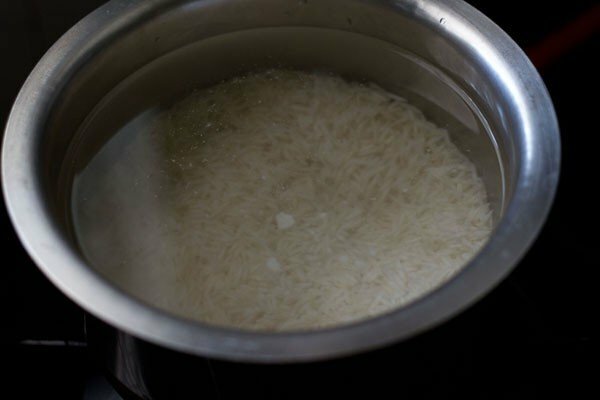 3. simmer on a low flame without a lid and cook the rice till they are al dente or just cooked. 4. strain in a colander and let the rice cool completely. cover and keep the rice aside. 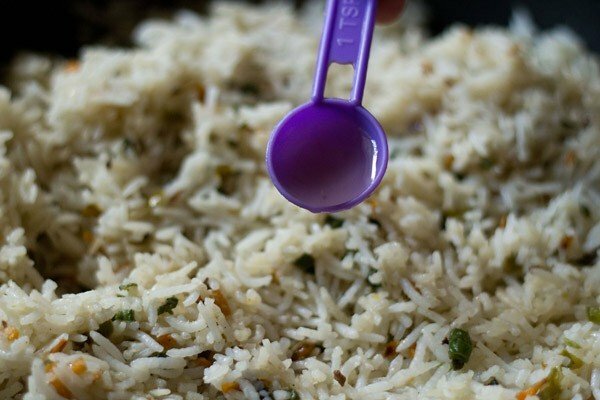 you can also rinse the rice with water so that the rice grains stop cooking. 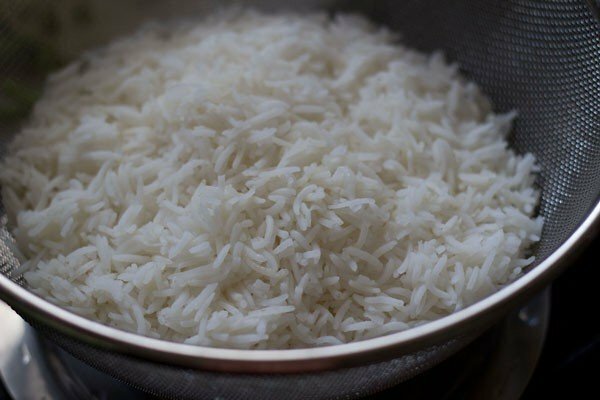 gently with your hands, move the cooked rice grains, while rinsing them with water. drain completely. cover and keep aside. 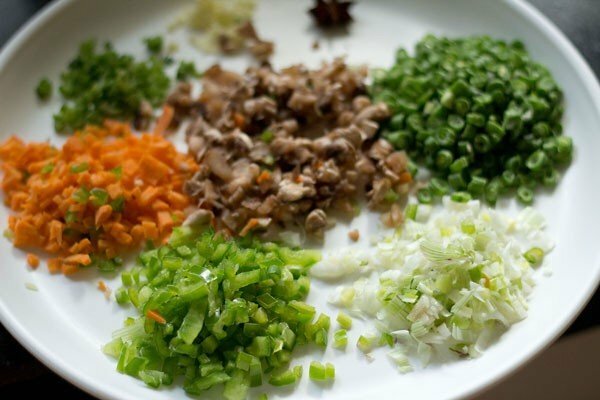 5. when the rice is cooling, chop the veggies finely and keep aside. remember to chop the french beans very finely. they take more time to cook than other veggies. you can also blanch them first and then cook. another option is to add the beans first and then add the other vegetables. 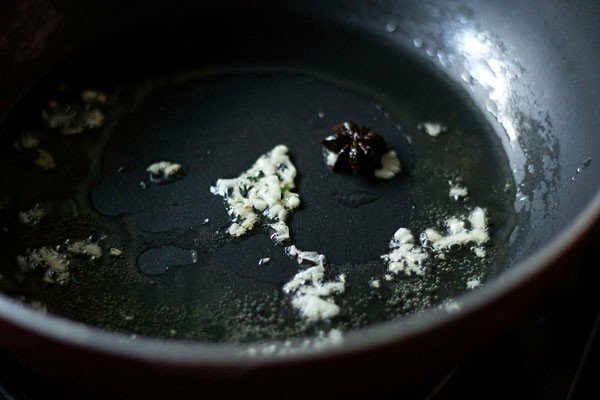 6. heat 2 to 2.5 tbsp oil in a wok or a pan. first add 1 star anise and fry for some seconds or till the oil becomes fragrant. 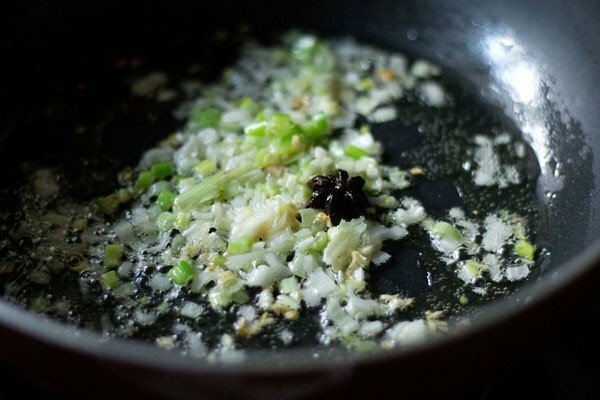 7. add the garlic (3 to 4 small sized garlic chopped or ¾ tsp finely chopped garlic). saute for some seconds. no need to brown the garlic. you can also add ginger if you prefer. 8. add 2 tbsp chopped spring onions whites and saute for 2 minutes. 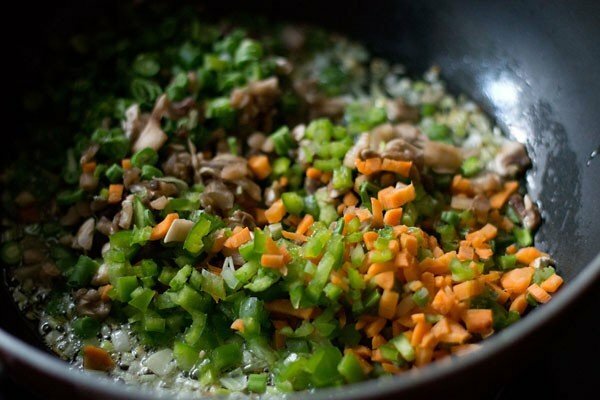 9. add all the finely chopped veggies including the celery. increase the flame to medium or high and stir fry the vegetables. 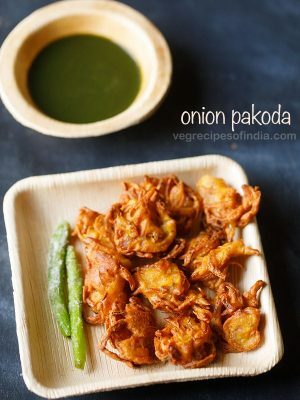 10. you have to continuously toss and stir while frying so that the veggies are uniformly cooked and do not get burnt. 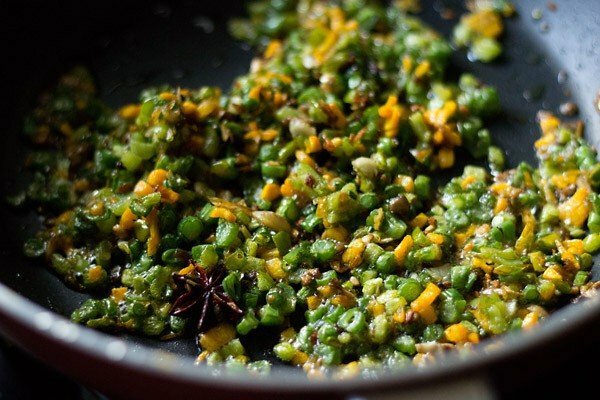 11. the veggies have to be stir fried till they are almost cooked and yet retain their crunch. 12. add 3 tsp soy sauce, salt and ½ tsp black pepper powder. keep a check when adding salt, as soy sauce already has salt in it. 13. stir quickly and add the rice. 14. stir fry for a few minutes till the sauce has coated the rice well. 15. add 1 tsp rice vinegar (optional). you can also add regular vinegar. mix well. 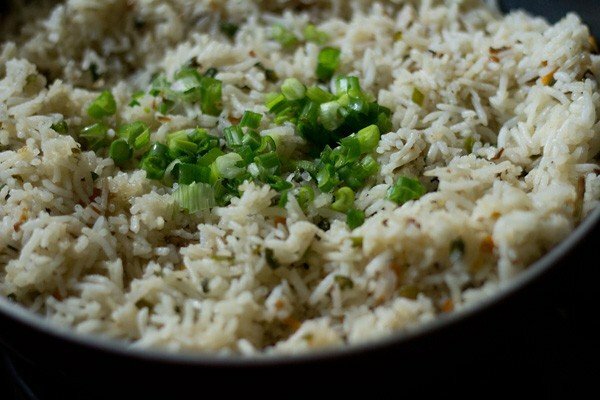 16. add chopped spring onions greens to garnish the rice. you can also mix chopped spring onions greens with the veg fried rice. 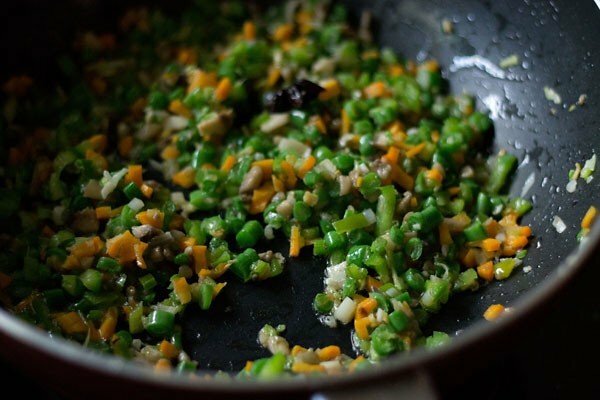 17. serve veg fried rice hot plain or with an indo chinese vegetable recipe. you can serve it with any indo chinese gravy dish. I added a lot more veggies. But still this came out very well. Thank you. I now implicitly trust this website. 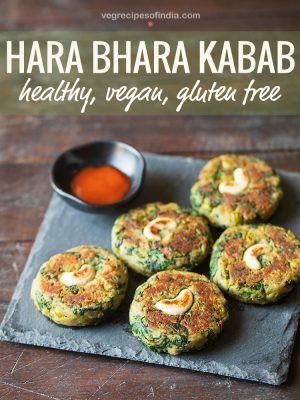 Any recipe I’m looking for, I first search for a vegrecipesofindia one. thanks again paramjit. 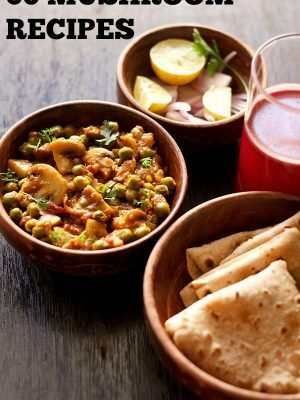 yes, some more veggies can be added and even various herbs or spices can be added as per one’s requirements. thanks again.